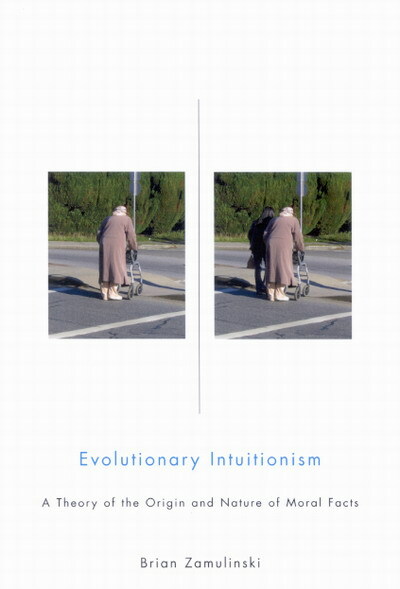 Evolutionary Intuitionism is a theory of morality. It differs from most other evolutionary theories. Most hold that morality is an adaptation but evolutionary intuitionism holds that it is the inseparabale by-product of an adaptation . This means that, at the very least, the standard objections to evolutionary ethics do not automatically apply to evolutionary intuitionism. Here are three questions to ask of any moral theorist. 1) Is your ultimate moral principle that individuals should maximize their genetic legacy? 2) Are individuals able to live in accordance with the moral precepts you propose? 3) If your answer to the first question is negative while your answer to the second is affirmative, how is it possible for individuals to live in accordance with the moral precepts you propose? There is only one possible answer to the third question. It is impossible to answer the first question negatively and the second affirmatively unless morality is the by-product of an adaptation from which it cannot be separated. In all other cases, the selective processes of evolution favour individuals who do what will maximize their genetic legacy over those who do otherwise. In all other cases, individuals who act in accordance with the moral precepts of the proposed theory will be less fit than individuals who deviate from it – they will tend to live shorter lives or to have fewer offspring. Consequently, in all other cases, the former ought to be replaced by the latter. Providing an answer means hypothesizing an adaptation to which morality is linked, producing empirical evidence for the existence of the adaptation, and demonstrating the inseparability of the adaptation and the by-product. A moral theorist who answers the first question in the negative and the second in the affirmative but who does not answer the third may be describing a possible world, but is almost certainly not describing the actual world.